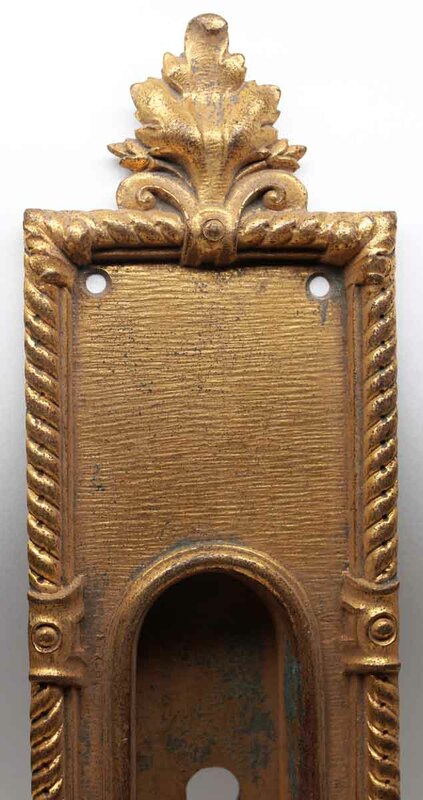 Gilded Victorian brass pocket door recessed plate with keyhole. 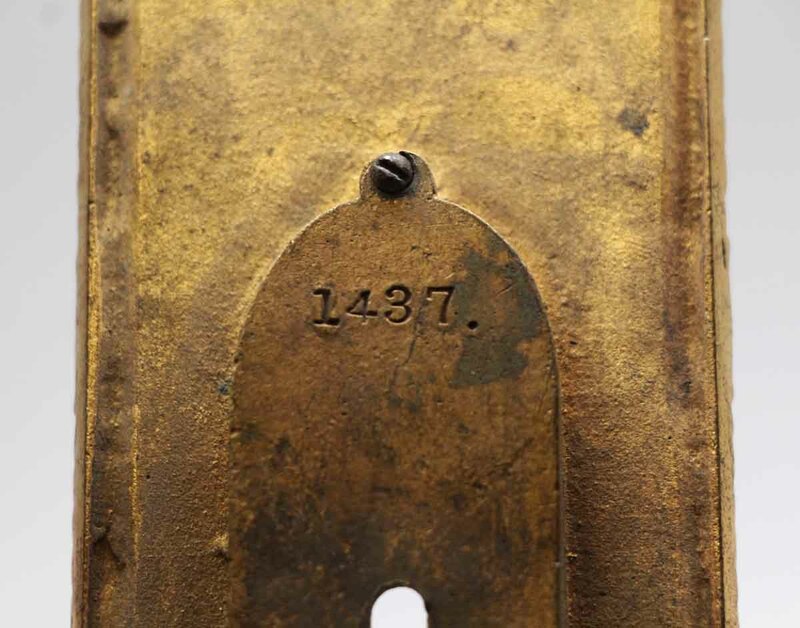 Inscribed 1437. One available.